They’re Back in the Market…or soon will be. Many homeowners caught in the bust of 2008/2009 will soon be ready to consider owning a home again. If you or someone you know sold their home in a short sale or lost it in a foreclosure 3 or more years ago the FHA backed mortgages are within their reach. According to the Federal Housing Administration, there are about 729,000 households that are now eligible to apply for an FHA mortgage. Although Fannie Mae and Freddie Mac require a longer wait time of up to 7 years, if there were mitigating circumstances of extreme hardship (death, illness, loss of job) there is a chance that those loans may be available. O f course, it’s not a given that they will qualify. Debtors must have been working on building their credit back and improving their scores. And three years is certainly a long enough time to have accomplished that. So, if you were thinking that you would never recover and ever own a home again, think again. Consult your Realtor and their team to find out if you are on the way to healthy home ownership again. The market in Sarasota, Florida is quite competitive right now but there are still market priced homes for the interested buyer. Previous Post Fact Check: 3.8% Tax on Resale Property – True or Not? 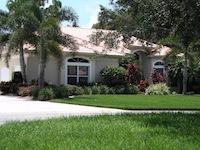 Next Post Are You Eligible for Florida’s Hardest Hit Program to Help You Keep Your Home?